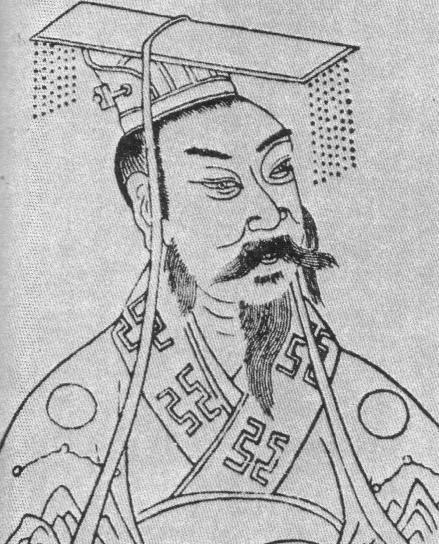 Liu Bei (A.D. 161 - 223 ), alias : "Xuan De" , Chinese Eastern Han Dynasty time Zhu county (now Hebei Zhu state) person. Chinese Three Kingdoms time renowned strategist, statesman. Three Kingdoms of Shu Han dynasty establishment. Liu Bei is born in the declining Han Dynasty imperial family aristocratic family, is the Western Han Dynasty scenery emperor's son Zhongshan peace Wang Liu Sheng descendant. Is the Chinese offers the emperor by the rank the great uncle. In in the Eastern Han Dynasty last years warlord tangled warfare, the Liu Bei group's strength is relatively small and weak, also does not have the stable base, continuously spends the life which drifts about destitute. Has the period of time also resides temporarily in big warlord Cao Cao, Yuan Shao, in the Liu Biao domain, obtains the protection. But Liu Bei cultivates the behavior the quality and the moral character aspect most conformed to at that time the Chinese tradition political thinking idea, therefore arrived place all deeply the courteous reception and the respect. A.D. 188 years, Liu Bei and Guan Yu, Zhang Fei organized one local armed forces in Chohsien, joined the Eastern Han Dynasty dynasty suppresses the yellow turban insurrectionary army's war, the historical data records him: " The number has the meritorious military service ", " has military is brave ". The after war ends, Liu Bei established its military bloc's regular armed forces, was in office the Eastern Han Dynasty dynasty plain (county magistrate). A.D. 196 years are promoted Xu officials , the official does obeisance east the town general, seals the Icheng pavilion marquis. After Hsuchou is attacked and occupied by the Lu cloth has to to hold the post of Henan officials . A.D. 207 years, Zhuge Liang joins the Liu Bei group lets the military strategist. Liu Bei according to Zhuge Liang's strategic concept: Occupies Jing Zhou, association Sun Wu, draws back Cao Bing, enters Sichuan. A.D. 221 years change the title to Cheng Du are emperors, establish the Three Kingdoms of Shu Han dynasty, the territory include north now Sichuan and Yunnan, Guizhou, area the Shaanxi old Hanzhong government office. Becomes the Three Kingdoms time one country. Successively gets married of a man Gan Shi, Mi, grandson and Wu Shi. Sub- Liu Shan Ji position. A.D. 223 years, in for close the feather revenge start to be defeated to the Wu war in, repulse the enemy return the Suchuan country. Same year in April (now Chongqing Fengjie) dies of illness in the white emperor city, die at the age of 63 year. confer posthumous honours on " illustrious dies for a just cause ". Liu Bei has two graves in China. One is Chengdu military marquis temple inside " the benefit mausoleum "; As soon as occupies in addition the Sichuan Pengshan's lotus flower dam.